This book was sent to me by the publisher. Amy Curry’s life is not what it once was. The accident tore her family apart first emotionally and now literally. her mother has decided the thing to do is move and has given Amy the task of getting the car across the country. This isn’t something Amy will be doing alone as she hasn’t actually driven since the accident. Amy’s mother has arranged for Roger, the son of a family friend to do the driving. They are barely on the road before the strict itinerary Amy’s mother outlined, has gone out the window. They both have reasons for wanting the detour. Roger has come off a confusing relationship break-up and Amy is still lost in the wilderness of life after the accident. 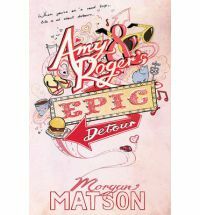 Their journey takes them to Yosemite, down America’s loneliest road and even to Graceland, along the way Roger finds answers and Amy learns to live again, Sometimes taking a different path is exactly what you need and it really is the journey that matters not just the destination. This is a wonderful, fun and heartfelt journey. Matson slowly opens the central characters up as the miles pass away. The prose is fluid and is broken up by journey playlists and funny little travel journal entries. The mood is a times tense and at others relaxed, as the characters begin to to grow comfortable with and begin to trust each other. The road trip is beautifully punctuated by the varied characters Roger and Amy meet up with along the way. Bronwyn was a particular highlight for me. Of course all these characters add poignant moments to the story, some deep and some simply joyful fun. This is a well balanced story that seems to move along at just the right pace. Matson has captured the feel of a leisurely road trip, there is little frantic about it as you are caught up in the need to just get away and experience new things. 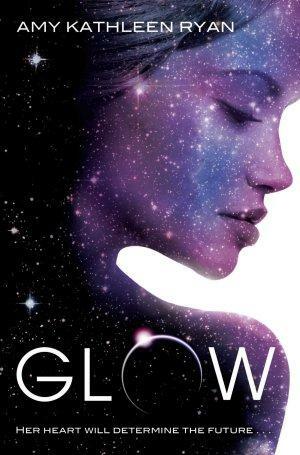 Waverley and Kieran are young, still teenagers, but having grown up on a space ship they are contemplating marriage. Fertility and the continuation of the species is of primary importance to those on the Empyrean. Then they come in contact with the New Horizon – a ship that had been sent out a year before theirs and one they should never have met up with. Now events are spiraling out of control and the young couple find themselves separated after a violent battle. It soon becomes obvious that both sides are lying to suit their own, less than honest, purposes. Kieran finds himself struggling to make command decisions he simply isn’t equipped to make, and finds mutiny is a very real threat. Waverley finds herself struggling for survival and to uncover the truth in a strange environment surrounded by people who lie and hurt her. She is determined though to save all the girls from the Empyrean, but is she strong enough to convince others of the hidden truths? This story twists and turns as these characters are thrust into a fight for their very survival. The central three; Kieran, Waverley and Seth, are complex and there is an uncertain dynamic between them. There are times when you find yourself not necessarily liking them. The relationship between the two boys is very interesting, they are both burdened by what they perceive as their duty; Kieran’s to command and Seth’s not to let a person like the previous captain take control of the ship. This is a tensely woven drama in which society is shrunk to a microcosm of two space ships. On the Empyrean the story plays out as survival of the inexperienced, manifesting in the form of force. On board the New Horizon, manipulation is the means to an end with little regard to who suffers along the way, all of which is disguised under the costume of religion. In the end the lines blur as brute force and religion fan into flames more than just the drive for survival. As it all plays out it becomes obvious that the things Waverley thought were a good idea in the beginning may not be, and this is the start of what could turn out to be a complicated love triangle. This book is beautiful in concept and presentation. 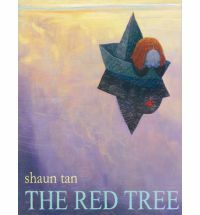 It is not a picture book that lends itself to a story synopsis as the boy is alone and the story is about his perceptions of the moment, how he sees things differently to those around him. It does however touch on topics such as isolation, difference and imagination. 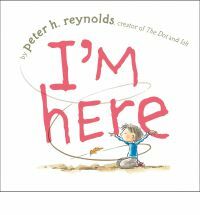 The media release states ‘I’m Here is an extraordinary picture book that gives voice to the often silent world of a child struggling to connect with his peers and speaks to the universal need to be loved and heard’. I don’t usually use quotes from press release but in this case I think it explains it best. This is a stunning book, simple in it’s scope and presentation, both text wise and illustratively. One of the very few books that families living with autism will be able to relate to. 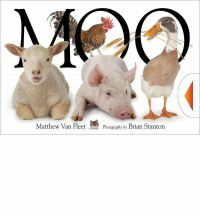 This book takes us down to the farm to visit all the farm animals. It is the newest installment from the very popular Van Fleet. These books are ideally suited to really young children as they combine so many elements that keep the youngest of readers interested: thick card pages with flaps to lift; tabs to push and pull; different textures and sections that pop-up. The thing I really like about these books is that unlike so many others of this format they are really sturdy. Only one thing is likely to come off. The tabs are thick and easy to use and the flaps are part of the page not simply stuck on to it. These books stand out and I’m sure children will enjoy the photos, simple text and interactivity found in here in one package. Vinnie Santiani’s sister is killed, his home life has changed irrevocably and Vinnie, driven by fear and loneliness heads to the bush. He wants to be alone and believes the isolation can be found camping in the middle of nowhere. Where he ends up though has a history. The forest used to house a prisoner of war camp. Across the years Vinnie’s life comes into contact with Erich Pieters’ – a young German man who left his family to join Hilter’s Wehrmacht and fight in the war. Vinnie may have been running away but sometimes fate has other things in store for you. I realise this is a very short synopsis and I’ve left it so deliberately because I don’t want to give too much away. Both young men and both settings have been wonderfully created by Eaton, who weaves the two story lines together so very well. The environment is richly described and it is easy to find yourself swept away into the bushland location during both timelines. 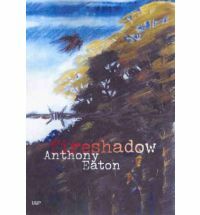 With a skilled hand Eaton has given us two young men so very torn by the circumstances they find themselves in. He develops them through their anger into something more, they do not merely gain an acceptance of life but a renewed spirit for it, through adversity they discover there can be healing and hope. This book is a wonderful read. It drew me in and reached down into me, it is an evocative and stirring tale, very well worth the time it takes to read. No real excuse for being so late with this one but on August 20th the Hugo Award Winners were announced and Shaun Tan was the recipient of the BEST PROFESSIONAL ARTIST Award. Another well deserving accolade for a very talented man. Ishmael Leseur is convinced he is cursed because of his name. His name embarrasses him on a regular basis and causes him to so often be the focus of year 9 bully, Barry Bagsley. Ishmael’s policy is to try and stay out of Barry’s way as much as possible, but then James Scobie arrives in Ishmael’s class and things will never be the same. Everything about James screams victim, Barry’s eye’s light up and James turns things on their head. As if that wasn’t enough, he pulls Ishmael into the year 9 debating team and Ishmael finds himself embroiled in the worst, most embarrassing and somehow best year of his life. Somewhere along the way he finds friends, courage and there may even be a girl, but probably not because how could she possibly like Ishmael? This book is laugh out loud funny. It is cheeky, silly, embarrassing and has moments that reminded me of school. Ishmael is a great character, resigned to his lot yet somehow wishing he could change things. He tries to step up but when he does things don’t always got the way he hopes. James is awesome, he has the appearance of a total geek but with a seeming imperviousness to bullies, he has mastered the art of insulting and informing while appearing pleasant and not the least bit like a tattletale. Then there are the other members of the debating team; Ignatius Prindabel -the fact-o-pedia, Orazio Zorzatto – the class clown and Bill Kingsley – the sci-fi/fantasy obsessed one. They fit so well together, Bauer has created a very real and very fun book. 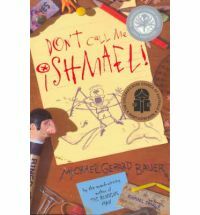 I see Ishmael and his friends being heartily embraced, Ishmael is slightly older than Greg Heffley (Wimpy Kid) and the writing style is for slightly older readers but this is a good place for those who like those books to move up to.